To get free access to the network, you will have to detect the WiFi signal of one of our partners and log in with your credentials. As a Fon ISP partner customer, your credentials will be the same as your ISP user account's; and as a Fonera owner, it will be the email address and password used for the registration of your Fonera. If you have any doubt on what credentials to use, please click here. 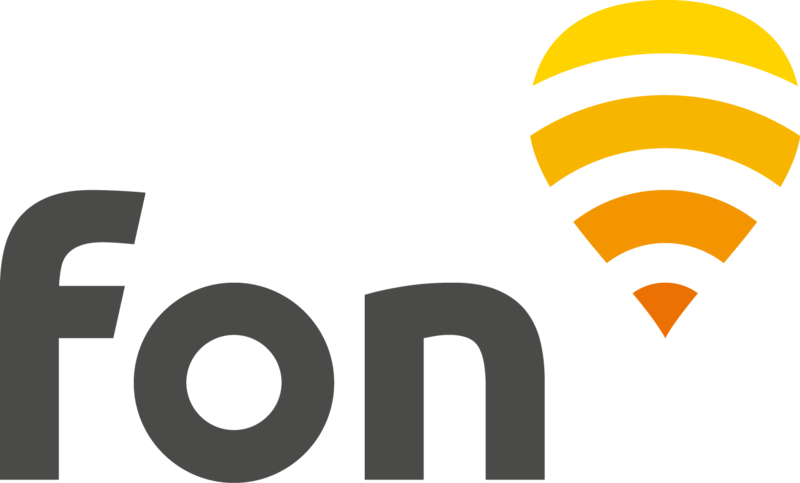 Hotspots are mainly created by Fon ISP partner routers, and Foneras. in all countries: Fon WiFi, FON_FREE_INTERNET, Fon_xxx. Hotspots worldwide can be located in advance using our Maps. The number of devices that can be used with the same account credentials on the same hotspot vary depending on the network/country. To get more information about these limitations, please get in touch with your ISP. Remember that it is not possible though to connect to different hotspots using the same account credentials at the same time. If you are not using the Fon for members app, you will be required to login each time you connect to the internet through a hotspot. However, we recommend that you mark the "Remember me on this computer" checkbox. If you wish to disconnect from a hotspot, simply disconnect from the WiFi signal or switch off your device. There is no need to log out. Next step: click here to know how to connect to Fon in a specific country. Fon for members app has been removed from the markets as of May 25th 2018, as we have discontinued its development and support. However, if you had it installed on your mobile device, you should be able to keep using it normally. Depending on your sharing member profile, you will be able to connect to the Fon network thanks to the below alternatives. But first be sure to uninstall the old app in order to avoid any conflict. Note: If you are using your ISP dedicated connection manager app (not the co-branded) and you travel, you will have to connect manually to hotspots. For this, please click here and choose the corresponding country.